9 YRS Wuxi Qiangtong Machinery Co., Ltd.
5 YRS Linyi Yuequn International Trading Co., Ltd.
1 YRS Qingdao Zhonggong Machinery Co., Ltd.
6 YRS Linyi Jianzhong Wood Machinery Co., Ltd.
7 YRS Wuxi Ouliwei Machinery Manufacture Co., Ltd.
2)The user can choose the heating system as heat steam or thermal oil, but the hot press machine we offered does not include boiler. 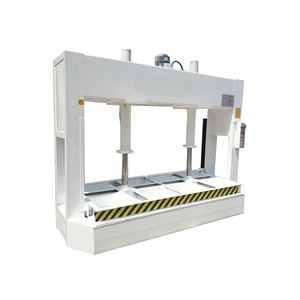 4)For some special needs of our customer, we also can do the hot press machine with assistant lifting cylinder. 4) How is the Delivery9 The delivery is 30 days 5) How is the package The package is export standard package. 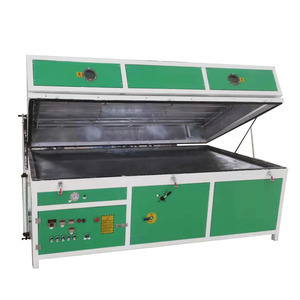 SAGA Electric Heat Press Solid Wood Bending Machine YX80-SA 1.High frequency wood bending press applies high frequency generator to hydraulic press, by mould and electrode. 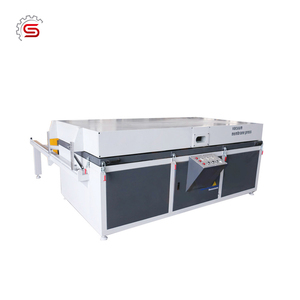 2.It transfers the high frequency power to the work piece to achieve the function of fast gluing and forming. 3. High frequency power is a selectively heating power, it concentrates only on water or glue, wood not consume High Frequency power, so HF heating is effective and power saving. 1 YRS Shandong Yuequn Machinery Co., Ltd.
11 YRS Linyi Jinlun Hot Press Machinery Co., Ltd.
3. Electrical automation, simple operation, reliable, automatic temperature and time control to ensure product quality. 5. 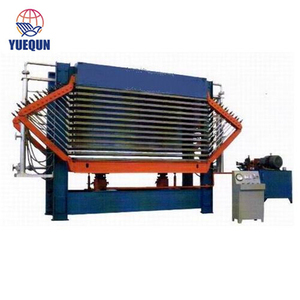 The heating method is steam or heat conduction oil to ensure temperature uniformity of the heating platen. 3. Product prices: The price depends on the customer&rsquo;s requirements and the latest steel prices . 4 YRS Foshan City Vario Machinery Co., Ltd.
2 YRS Linyi Yuequn International Trading Co., Ltd.
Our workers will make sure your machine clean before package. 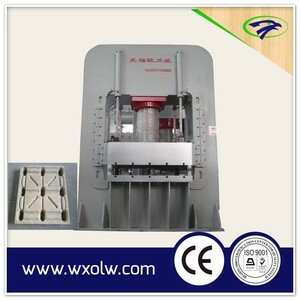 We will add stretchy film for the whole machine and spare parts for delicate protection. 5. 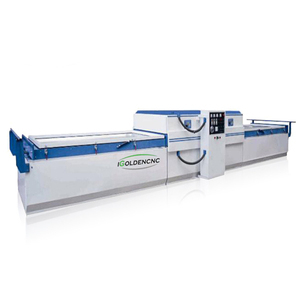 After sales services: Our machine is installed and tested well before delivery. 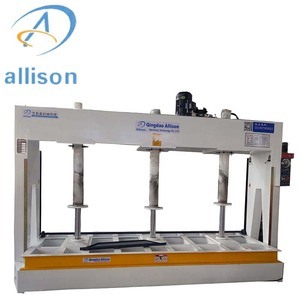 5 YRS Shandong Jinlun Machinery Manufacturing Co., Ltd.
6 YRS Shandong Senmao Machinery Co., Ltd.
1 YRS Linyi Hengming International Trading Co., Ltd.
1 YRS Qingdao Chenen Machine Co., Ltd.
Alibaba.com offers 81,164 wood press machine products. About 10% of these are wood based panels machinery, 4% are press, and 4% are heat press machines. 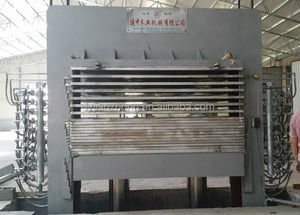 There are 81,164 wood press machine suppliers, mainly located in Asia. 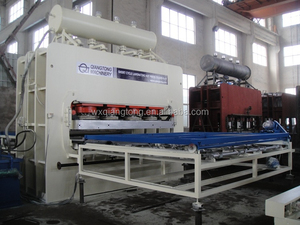 The top supplying country is China (Mainland), which supply 100% of wood press machine respectively. You can ensure product safety by selecting from certified suppliers, including 18,124 with ISO9001, 7,612 with Other, and 1,017 with ISO14001 certification.